Item No. 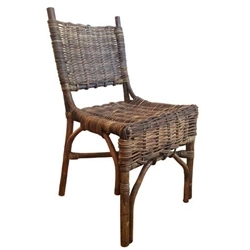 745 Rattan Bistro Side Chair. Great scale dining chair that can easily be moved around wherever needed.